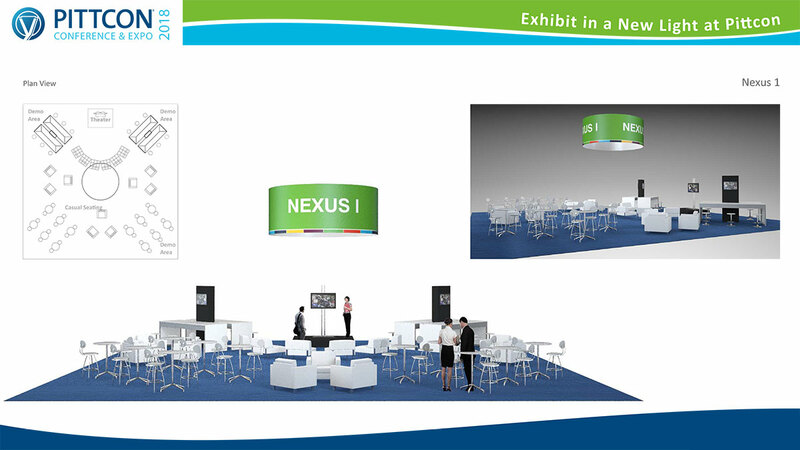 The Nexus is a theater style setting on the exposition floor. The two theaters will be available for presentations, scheduled in 30 minute increments, one per company. These presentations offer a unique opportunity to connect with conferees. These presentations are to be dynamic and should include audience participation and interaction. It should be lively and/or entertaining as it delivers valuable information to the conferee. There will be 30 minutes between each session to allow 15 minutes for the concluding presentation to vacate the theater and 15 minutes for the incoming presenters to set up. Deadline for submission is January 5, 2018. No submissions will be accepted after this date. All submissions will be subject to approval and will be pending until approved by the Exposition Committee. You will receive notification of the status of your submission. The theaters will be live on Tuesday, Wednesday and Thursday. The first presentation will begin at 10:00 a.m. and the last one on the schedule will begin no later than 4:30 p.m. Both theaters will be live at the same time. Both theaters will be laid out in a similar manner. The cost is $175 (non-refundable) per 30 minute time slot. In order to secure your time slot, payment must be made at the time of acceptance. Due to the limited availability, no slots will be held without payment. The presentations should focus on a scientific topic of interest and cannot be a product or sales demonstration. The presentation may include one or more speakers. Panel discussions are encouraged. No presentation will be accepted or considered without a title, speaker details and a detailed description of the topic and content of the session. No TBD or TBA submissions will be considered. Presentation should include time for questions and answers. All participating exhibitors will be expected to promote their presentation on their website, social media, print materials and any other available media. A schedule will be posted online and signage onsite will be provided. Pittcon will promote the theater and schedule in print and digital resources.